Benefits of an Electric Toothbrush. Electric toothbrushes are awesome! Dr. Nugent has been using Sonicare electric toothbrushes for over ten years. Electric toothbrushes 1) are more efficient (the bristles move super fast to remove more plaque, food and bacteria) and 2) have a built in two minute timer. Proper cleaning of the teeth is vital. 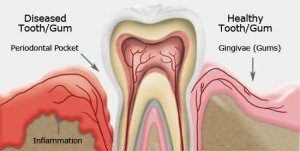 If plaque and bacteria harden they form calculus (tartar). Calculus is a cement like materiel that cannot be removed with a toothbrush. The calculus starts a bacterial infection that destroys gum tissue and bone. The RED line shows where normal healthy bone should be. 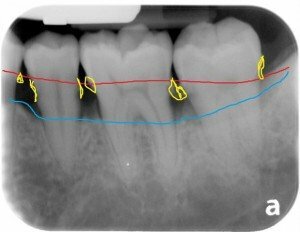 The BLUE line shows where the current bone level is. The YELLOW blobs indicate the calculus. This patient has severe Periodontal Disease. This is also referred to as Gum Disease. The bacterial infection is destroying the gum tissue and bone levels. If the infection is left unchecked complete loss of teeth will occur. The best tool for patients to fight gum disease in an electric toothbrush. Patients are responsible for their home dental care. An electric toothbrush helps to maintain a healthy mouth. 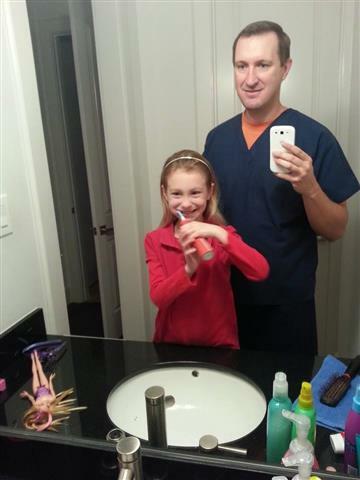 Here is Dr. Nugent supervising his daughter using her electric toothbrush. 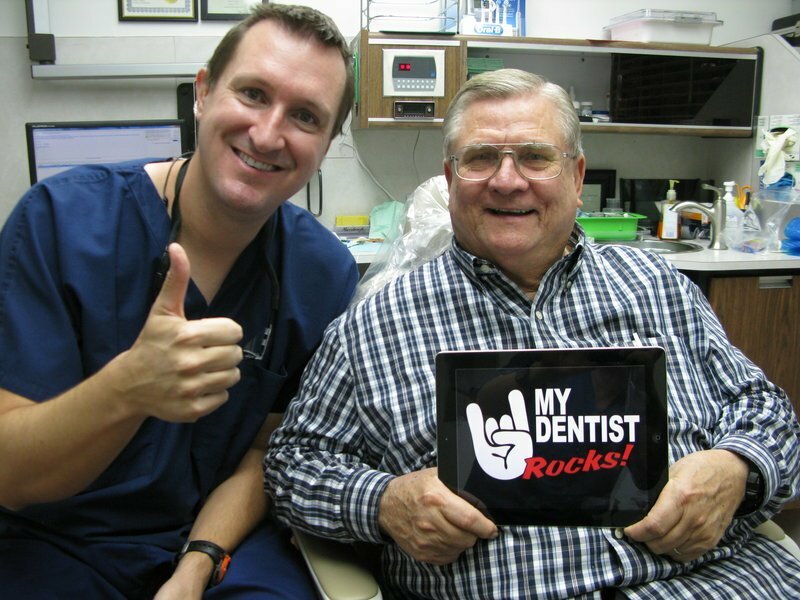 Dr. Nugent is a Family Dentist and is located at 3421 Burke Rd, Ste A, Pasadena, Texas. To schedule your new patient exam call 713-941-8261. See why Dr. Nugent has been voted Best Pasadena Texas multiple times.